Like many a New Yorker, 10-year-old Alyssa Emily Marvin considers South Florida to be her second home. After all, her great-grandmother was a longtime volunteer at the Kravis Center until recently and her cousin is a rabbi at Temple Beth El in Boca Raton. And on Wednesday, Alyssa makes her Kravis debut as Marcy, one of the kid rocker back-up singers in Andrew Lloyd Webber’s School of Rock. The show, based on the 2003 Jack Black film comedy, ran for more than four years on Broadway before closing there in January. It concerns an unscrupulous out-of-work musician who impersonates a teacher and turns his young prep school charges into a heavy metal band. So the original show and its national tour were in constant need of multi-talented tots. Alyssa was hardly a novice at performing by this point. 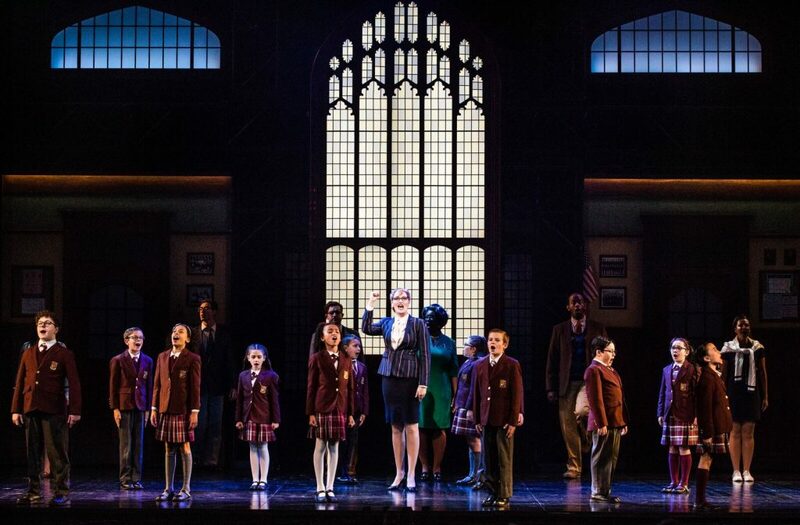 She played orphan Molly in the international tour of Annie, singing and dancing in venues throughout Asia. At 6, she was appearing off-Broadway in Number the Stars, as well as school productions of The Jungle Book, Peter Pan and The Wizard of Oz. Wait, there’s more. 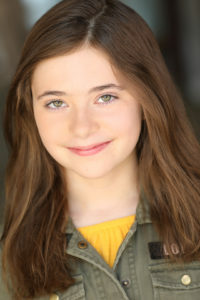 In addition to several independent films, Alyssa has been seen in commercials for BarkBox, Microsoft and United Nations Human Rights. Quite a résumé for a 10-year-old. Her history with School of Rock began when Alyssa auditioned for the Broadway cast, vying for the role of Katie, the band’s bass player. “I auditioned for that for about two years, and I think it was last December I had a final callback for the Broadway one, but for the first time it was for Katie and Marcy,” she recalls. Marcy is “very energetic and a bit sassy sometimes,” says Alyssa. “She loves singing and she loves dancing too. She’s really fun to play.” Although she does not play any instruments in the show, Alyssa’s résumé lists piano, bass, trumpet and ukulele among her musical skills. Asked what her favorite things about being in School of Rock are, Alyssa does not hesitate. “I really like traveling around and seeing a bunch of different places,” she says. “And also I think it’s really awesome that now I get to be a part of a show that I watched so many years ago and bring the story to life. She has been traveling with the show for the past 13 months and the tour ends on June 9. Then it is back to school – 5th grade in Scarsdale, N.Y. – as well as more performance training and auditioning for that next job. Alyssa’s goal? To appear on Broadway. For now, she is looking forward to playing the Kravis, where her great grandmother and her cousin will certainly be in the audience. So, in all probability, will Alyssa’s parents, who have seen their daughter in the show all over the country. How many performances have they seen by now? “I don’t know, probably too many times,” she says with a tiny giggle. SCHOOL OF ROCK, Kravis Center, 701 Okeechobee Blvd., West Palm Beach. Wednesday through Sunday, March 31. $28-$77. Call 832-7469 or visit www.kravis.org.